What an awesome soup. Just made a pot for my lunches this week. I know that 2 cups is 6 +points so a cup would be 3+? I have to say I tried this the other night and my family LOVED it. I added some ground turkey to the mix to make it more hearty (the boys in the family don't believe in meatless meals) and the next day when I had packed individual portions for me to take to lunch for the week, they were all gone. They told me this was definitely a keeper. Infact I am remaking it tonight (doubling the recipe so I actually will get to enjoy leftovers) and adding in shredded rotiserrie chicken in place of the ground turkey. Thank you for so many wonderful recipes! I have told so many of my friends about this site who are doing weight watchers and we all agree how fantastic everything tastes! Really great soup! I put a parmesan rind in the pot while cooking, added great flavor. Thanks for the recipe. Made this today and I L-O-V-E it! This recipe was so good, I gave some to my brother and sister in law. She called me to say she LOVED this soup. Thank you for the time you put into this. I did not have celery, so added 2 carrots. Delicious. I did vote for you. Had this for dinner tonight and the whole family loved it! Doubled it, so there's another meal in the fridge, and one in the freezer ;). Thanks Gina! As long as it's 6 oz, it's all the same no matter what shape. Weight is always accurate. Question. 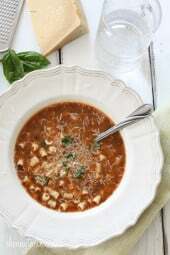 In this recipe you said 1-1/2 cups (6 oz) dry Ditalini pasta or other small pasta. My question is how many points plus is the pasta worth? Every pastas different right? I made this last night and it was fantastic. Both my daughter and I loved it. My husband said it was "good", which is high praise from him. I also had enough leftovers for lunch. Yay! This was fabulous….thanks for sharing! I finally made this soup today even though I've been thinking about it for a while and let me just say: WOW! It's been cold and rainy out this week and I'm not a big fan of canned soup so I figured this would do the trick. It definitely did. Thanks so much! Just curious would not pureeing the beans make the soup less thick? I like to have whole beans in the soup but still want it creamy. Maybe if I puree 1/2 the can and leave 1/2 whole? So glad you all like it!!! Valerie, add more broth, that will fix it. Can I add any meat to the soup? If so, what would you suggest? I just made this for dinner tonight and it is HEAVEN!!! Definitely a recipe I will use again and again. I love this recipe, I make it twice a month in the fall and winter – yesterday we were invited to a "soup party" and everyone brings a soup, and then everyone tastes and votes….this came in third place (I won a bronze ladle, ha)!!! this is no small feat, the competition is strict! Don't worry, I gave you all the credit, I am sure your traffic will increase 🙂 Thanks!!! Just found this recipe, can't wait to try it. Question though, are the amounts for the basil, parsley and oregano for fresh or dried? 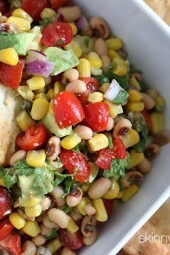 LOVED the underlying pureed beans, made it so hearty and filly for so little calories!! Wow, I love this one! To beef it up, I added some cut up Andouille Chicken Sauasage and it was so awesome! Gina, this recipe is AMAZING! I love the pureed beans to make the soup nice and thick. Genius! Don't use baked beans, that would completely change the taste. Can I use baked beans (heinz)? This was the first recipe of yours I tried, and it's still one I go back to a lot. It's amazing how much filling food you get for the points! I've just recently started cooking, and I printed out a bunch of your recipes to try. Thanks so much for this wonderful blog! I made this tonight. Yummy. Perfect for a rainy day/week we have here. Hubby gave it two thumbs up. Even the picky 8 year old ate it. Thanks for another awesome recipe Gina! Just made this last night and OMG it was delicious!!!! Thank you for this wonderful recipe!!! Full of flavor, very hearty, I don't even like soup and I loved this! Kristen, I've never been to an Olive Garden! I'm sure adding meat here is fabulous. Rose, no but I bet that would be great. Gina, have you ever tried spinach in this?? made this today! it came delicious. had some for lunch today! i will be packaging this in containers to bring to work. thank you so much for another great recipie. Love the tradition Beth! It's perfect for a rainy night! It is a semi tradition on a cold rainy Sunday my boyfriend and I make soup. I just started WW this week, and today he stumbled upon your website and I cannot begin to tell you how this will certainly change my life! I love good eats, but figuring out points, ways to reduce fat etc is too time consuming. I just made this soup and ate my first bowl and I am hooked! this was so good. We left the beans whole, and it was pure joy! Rose, love that! You're welcome! 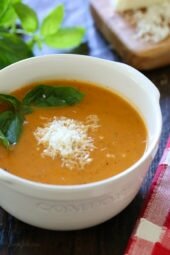 Abby, red pepper flakes are wonderful in this soup! Love this recipe! Made it for the second time tonight. I leave the beans whole and also add some red pepper flakes, as we're fans of spicy food! This was so good! I like the trick of pureeing the beans — it makes the soup thick and hearty. My bean-hating son even loved it. Thanks for your WW recipes! Jackie, it depends on the size of the pasta, which is why it's best to weigh it. Love the addition of red pepper flakes!! I made this along with your turkey meatloaf for this week's dinners and it was amazing! My only question- I added 1 1/2 cups dry pasta as it says, however, it then says 6 ounces. Wouldn't 1 1/2 cups be 10 ounces of pasta? THIS RECIPE FREEZES LIKE A CHAMP!!!! Thank you Gina!! Made it once, enjoyed it MANY times!!! Yay! I use the liquid, but completely up to you! Gina, this is AMAZING!!!!!! I want to thank you so much for your wonderful blog. I've been on WW for 2 years and so far am down a little over 60 pounds. I have 20 more to go, and your blog full of delicious foods has made my journey much easier (and much easier on my boyfriend since he doesn't have to eat "diet" food). Later this week I will be making your chicken ropa veja and your roast chicken with lemon and rosemary. I cannot wait for dinner! Thank you again! If I have fresh, I always use fresh, but if not, dry would work. I used fresh. I'm sure I should know this …. but are the basil and parsley fresh or dried? Thanks! Don't you love soups that are hearty enough to enjoy as a meal! Happy your family enjoyed it! We had this for dinner tonight and Mmmmmmm, it was soooo good! My 3 year old LOVED it! Will definitely be making this again–great for our cold winter nights!! Thanks, Gina! Has anyone made this in the crock pot? I read through the comments and noted to add the cook pasta just before serving but for the rest of the recipe, would you just put everything in the crock pot and cook on low for a couple of hours? Nothing really needs to be "cooked", more like warmed. Made this tonight and it was great! Enjoyed by all! My favourite part of the recipe is that it is easy to make quick! I didn't puree the beans mostly because I'm lazy but it was still awesome and made it faster which is important with two kids under 5! I just made this last night!! It was AMAZING!! So flavorful and yummy and VERY filling. However when I did my calculations I only came up with 4pts per serving with 5 HEFTY servings!! Hmmm…which is even better. I love your site!! I've found so many great and easy recipes that make it easy for me to stay in line with my WW diet!! Thanks!! Made it today after my WW meeting…..kept the pasta on the SIDE so I can add it in. Shared your SITE with the Members. This recipe is so worth making! My entire family liked it. Very filling, love the fiber content! OMG…GOOD! 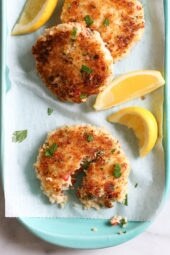 I made this tonight for dinner for my "boys" ( a 5 and 3 year old and hubby)….it was a hit. I used wagon wheel pasta and told the boys we were have wagon wheel soup. They dove right in and there was nothing left in all 3 bowls! Thanks so much…this was delish! Thanks for this recipe, I made it tonight and it was delish! I added some turkey kielbasa (2 pts), but it didn't need it honestly. It was a great dish and very filling. Can't wait to have leftovers at work tomorrow. @Ash, serving size depends on how much liquid evaporates, but it's between 1 1-2 to 2 cups per serving. Good news is the points are lower! I just added the calories, fat and fiber and I was happy to see it came to 5 pts per serving! Without the olive oil it's 4 points per serving. Enjoy! So I have to admit, I was doubting the soup as it was cooking! I just kept thinking to myself…man this is NOT going to fill me up! Well I was wrong 🙂 I did however have an extra half serving b/c it was SO fantastic!! (And I hardly ate lunch in anticipation of the soup!! So I had lots of points!) My servings ended up being about 1.5 cups b/c I let it sit for awhile so I think the pasta soaked up a lot of the broth. I used broken spaghetti and great northern beans. Thanks for this fantastic recipe! Also, if I used Pam to cook the onions instead of the olive oil does it change the points value at all? Thanks! Great, yes, the pureed beans thicken this. Very hearty soup!! very tasty! another winner, and it ended up thicken more after it sat. Thanks Gina for this wonderful soup recipe.Made it for supper and it was superb on a cold wet day yums the word.i made this for myself so I have leftovers to invite friends over. This is my first time on your site and I'm looking forward cooking some more surprises. I made this along with your turkey meatloaf today. Both are so so good! I've go my lunch packed for work tomorrow and a few delicious meals for the week. Thanks for your great recipes! I made this the other day for dinner and it turned out great. I have so much left over. I'm going to freeze it for quick lunches. Thanks for posting such wonderful delicious recipes. I have made several from your site. I look forward to coming to your website for great ideas. Thank you. That's great, thanks for commenting. Thanks Annette. I always bring soup for lunch. Nothing like homemade! I made this over the weekend. It's very Yummy! Freezes really well. I've been bringing it for lunches. I just made this soup for lunch. It's yummy thanks! Several people have asked how many cups this makes. I just measured it out and it made about 9 3/4 cups. So about 2 cups per serving. Excellent!! 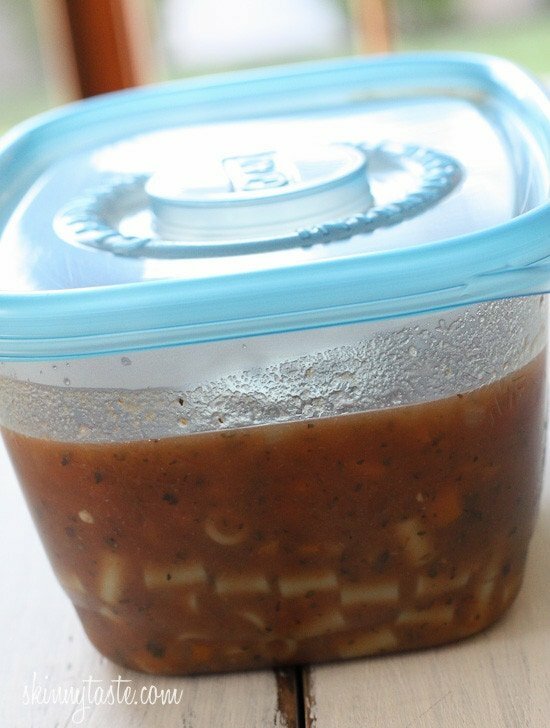 I make the Pasta Fagioli a day ahead of time (as always the pasta absorbed all the liquid), I then froze in 1 cup portions. I take them from the freezer (take just a few minute to thaw) then add a bit of water and I have a readymade meal. I would highly recommend this recipe to the “busy team”. And to my surprise the Pasta Fagioli was very filling. The only change I made was I used fresh herbs. Thank you for the excellent recipe. Thanks for the comments! Glad you all liked it. I just had to add my comment to this dish! I made this last night and it was amazing! I am so happy to have found your blog! @Shannon, yes, it is! Thanks for leaving a comment. For me that is what makes putting all my time into blogging worth it! Just made this! Yum! Thank you.This is my second recipe I made from your collection in the last week. THANK YOU, I know it's alot of work keeping up a blog. Now I'm looking for my next recipe to make..
That's great! It's less like a soup, more like a meal. I made this and my two young boys and my husband (who isn't a big soup fan) LOVED it! Thanks for the great recipes! I made this tonight for dinner, and my husband and I absolutely loved it! I will definitely be making this again. It was delicious! I had some of the same questions as Patrick, but I also noticed it doesn't say to add the carrot in, but I figured it out. 🙂 I didn't realize I was out of parsley until I was putting this together, so I used 1 Tbsp of Italian seasoning and left out the oregano and parsley. Thank you for the wonderful soup! If you make this in the crock pot, add cooked pasta to it right before you serve it. made this this past weekend, and LOVED IT! my family and friends loved it to and they are not watching calories. Thanks for great recipes! Thanks for commenting again Patrick! You remind me of my husband, when he really likes something, he eats it over and over again! This is a great soup now as the weather is cooling! Made this again tonight – probably the tenth time since March. Used the last of the zucchini which succumbed to TMV 🙁 For those of you who have not tried this recipe, listen up: it's satisfying on a cold night but light enough to enjoy with the bounty of summer. A treasured recipe. Thanks, Gina. @ Kim – Cannellini beans are white beans, you could probably use any white bean. Hey, what are cannellini beans,I have not heard of them? We live in a small rural community, is there some type of other beans which could be substitued? The recipe calls for 2 cans of chicken broth…just wondering what oz. size? Thanks! I'm excited to make it. @Patrick – That's great news!! Yes, this is a great soup, I'll be making this a lot when the weather starts getting a little cold. Thanks for writing and glad to hear you're busy. Haven't posted in a while because I've been really busy (for which I'm thankful, these days). However, I just wanted to say that last week I reached my halfway mark: 30 pounds lost. And this recipe is an important part of the reason. I always have some of this in the refrigerator – a snack, lunch, dinner with a salad – love it. It is especially great for us gardeners as we can throw in some green beans or zucchini or fresh tomatoes or chard or whatever and it's still perfect. Thanks. It didn’t turn out “ok”, it turned out GREAT! The soup was thickened perfectly, even with a little added water. Because I’m lazy, I cut the onions fairly large and, after sauteeing, just added the beans and water to the pot and went at it with the immersion blender. Semi-pureeing the beans is inspired – great body and mouthfeel without any added fat. This tasted like it was simmering all day, but took me even less time than the 30 minutes suggested. This soup will become a staple item in my home. @Patrick, sorry for the confusion. Yes, you can drain the beans, then puree them with one cup of water. The second cup of water goes into the soup. There’s really no right or wrong Kevin, it depends how thick you want it, you can adjust to taste. Did it turn out ok with the additional cup of water? A few questions: about the cannellini beans – drained? rinsed? or canning juices and all? Also, for clarity, the onion is supposed to be chopped? The 2 cups of water specified – the recipe only directs you to add one cup – is the other cup the “can” of water added to the beans prior to pureeing? I’m making this right now and I had to pause for these three questions. I drained the beans to get rid of excess salt, but did not rinse, I finely chopped the onion, and I added the 2 cups of water in addition to the can of water, which I think was a mistake. I made this yesterday as soon as I saw it and realized I had all of the ingredients. Loved it then, love it more today after sitting for a day! I used one cup of pasta, and two cans of beans (pureeing one, draining the other and leaving them whole). Mine made six servings. Froze the leftovers in ziploc bags and brought it to work with me today. It’s extremely filling and absolutely delicious. Tried this just a minute ago – it’s fantastic! Because there’s two of us, I cut down on the amount of liquid and simmered it a bit longer, which seemed to make the base quite rich. And again, because we’re vegetarian, we opted for the vegetable broth. This soup is just as amazing as the Colombian Sancocho De Pollo you posted. This is one of the favorites and prides of many Italian family restaurant owners. I enjoyed this soup in a remoted but excellent trattoria in the Toscane province near Lucca. Delicious! Thanks for bringing back again sweet memories my friend! This is a great recipe! Love the tomato base in this. Being vegetarian, I’d substitute veggie broth for the chicken, possibly saving a bit more in calories.